The department has initiated action in 12 cases but did not name the multiplexes, citing that proceedings are going on. NEW DELHI: The Delhi government today initiated action against 12 multiplexes for overcharging eatables, including bottled water and aerated drinks, inside theatres. The move comes two days after several MLAs had complained against overpricing of food-items and soft drinks inside cinema halls in Delhi during the ongoing Budget Session. Teams of Weights and Measures Department today carried out surprise inspections of cinema halls and multiplexes allegedly charging exorbitant prices for packaged eatables and drinks, a violation of Packaged Commodity Rules (PCR). 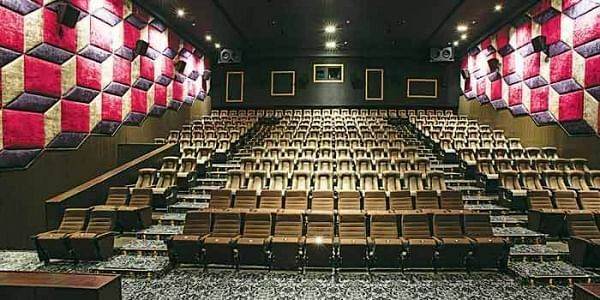 Food and Civil Supplies Minister Imran Hussain had directed the department to conduct surprise inspection of multiplexes following MLAs complaints against overcharging. On March 7, several legislators had complained that cinema halls and multiplexes were charging customers, cinema-goers in excess of Maximum Retail Price (MRP) printed on the various packaged products such as biscuits, popcorn, aerated bottled water, chips and snacks. Thereafter, Assembly Speaker Ram Niwas Goel had directed the government to look into the matter. During inspections, premises in and around 14 cinema halls and multiplexes were visited and some inspections were also carried out at restaurants and eateries. For violating rules, a retailer is prosecuted under section 52 of the Legal Metrology Act, 2009 and the Packaged Commodities Rules, 2011, which has a penalty (compounding fees) of up to Rs 2,000. If the offender refuses to pay compounding fees, he is prosecuted in the court, which attracts a penalty of up to Rs 25,000. The department will carry out similar inspections at other cinema halls and multiplexes and other establishments to ensure that norms of Packaged Commodity Rules are strictly followed.